If Bitcoin were a company, it would have been shut down. 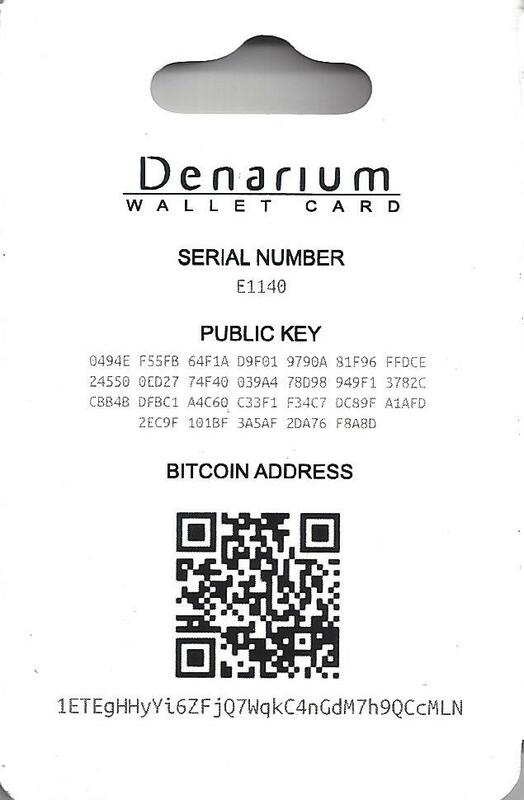 Satoshi Nakamoto, its inventor, probably would be incarcerated or on the run. However, Bitcoin is not a company. It is an ownerless entity, living on the Internet upon a network of computers all over the world. This decentralised nature allows it to operate outside of government control, ignoring borders and regulations. At this point, the only way to shut down Bitcoin would be to turn off the Internet. 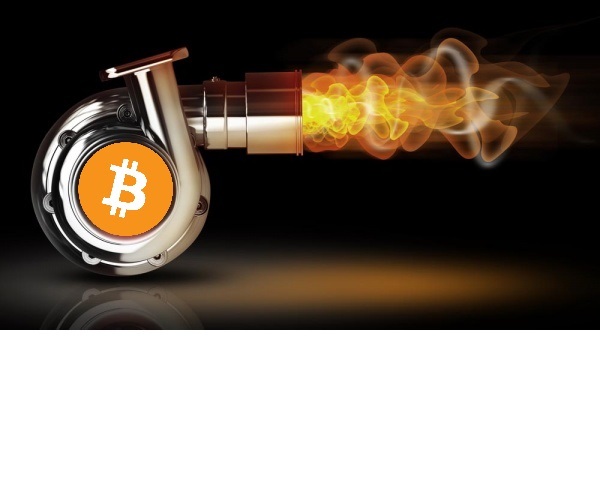 Bitcoin has already reached its maximum throughput of transactions due to the existing limits written in its software. The main limiting factor is the size of each block in Bitcoin’s blockchain. Currently the limit is for each block to be only 1Mb in size, thus creating a hard ceiling on how many transactions can fit inside a block. There is a lot of debate around how best to ‘scale’ Bitcoin so that it can accommodate far more users. Some want to simply increase the maximum size of a block, others want to deploy an enhancement called ‘Segregated Witness’ or SegWit to increase the effective size of a block and enable ‘second layer’ solutions to enable far greater scaling. SegWit also fixes a minor security bug. The best way I can describe the two main spheres of thought, is to compare it to car engine design/improvement. The obvious way to make an engine more powerful is to make it bigger … more capacity, more cylinders. The downside to this approach is that they guzzle fuel (expensive to run) and are heavy. This represents the more simple scaling method preferred by some Bitcoin users, simply increase Bitcoin’s block size so that more transactions can fit inside each one. The main disadvantage of this approach is that you need to completely remove and replace the engine … and there are 1000’s of engines out there to change, and everyone needs to agree to make the upgrade. The more European/Asian way is to optimise an engine; increase efficiency (better air filters, reduce weight & friction, new exhausts, etc.) and maybe bolt on turbos/superchargers to meet the demand for power when required. More recently, some manufacturers have added energy recovery systems and electric motors. The downside to seeking optimisations and bolt-ons is that the engine becomes more complex and perhaps more fragile as a result. 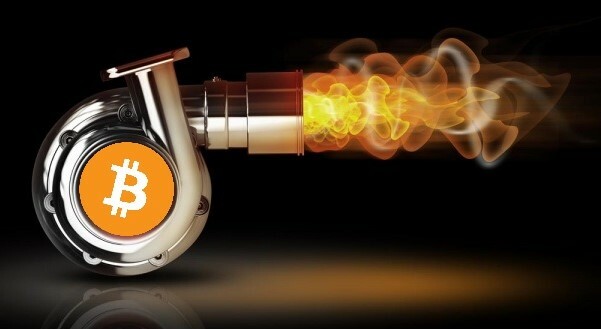 This approach represents the ‘Core’ development approach to Bitcoin; being very conservative with regard to increasing block size and seeking optimisations and/or bolt-ons which may result in far more ‘bang for your buck’ (more BHP per litre of engine size … or more transactions inside each Mb of block space). Those of you with some familiarity with computers may think that 1Mb is very small these days, so why have such a low limit. It seems logical to increase the blocksize to a more ‘modern’ amount and optimise later. 1/ If you cannot reach unanimous support for a full engine upgrade, you risk having two different cars on the road … essentially two different Bitcoin networks. Very bad news! It would create uncertainty and huge price volatility is likely. If poorly managed, there is the potential for some to lose funds. It would be a lot of extra work for Bitcoin businesses to maintain two different ‘models’ of Bitcoin. 2/ Bigger may not be better in developing nations like China, India or in Africa … thus hurting decentralisation (an absolute requirement for Bitcoin to be resilient against interference from any overbearing governments). There is a reason they don’t drive around in 500BHP pick-up trucks in India … they can’t afford to buy or run one! If you’ve been to India, you will know that small hatchbacks are by far the majority of cars (massively outnumbered by scooters and motorbikes!). As I write this, the Bitcoin miners are ‘voting’ on whether to activate ‘SegWit’, an exciting new technology which I hope activates soon. It is analogous to the second ‘optimise and bolt-on’ approach to engine design. Good for micropayments, Internet of Things, real-time settlement, high frequency trading, etc. etc. It will be possible to ‘peg’ other blockchains to Bitcoin’s in order to harness its security and immutability but have entirely different functionality. For example, Rootstock will be a sidechain which will enable smart contracts. My view is that with this ‘SegWit’ upgrade, Bitcoin would become the go-to blockchain for any project … even for banks and governments. It would truly become the ‘World Wide Ledger’ for any use we can imagine. Bitcoin has no owner, no central authority … therefore no-one responsible for a broad marketing effort. Each stakeholder currently only worries about their own self-interest, promoting their business or agenda accordingly. For this reason, the vast majority of marketing spend is probably targeted at existing Bitcoiners and not at trying to convert newbies into users and HODL’ers. It is easy to rest on our laurels, sit back and wait for the network effect to grow the market organically. Or we can, as a community with clearly aligned interests, create a platform where marketeers make proposals and we contribute to the ones we like … improving marketing material and messages available, accelerating the network effect and ultimately making Bitcoin worth more. Reddit is full of people asking ‘Where do I get started?’ or ‘What site/video can I give to friends/family/colleagues to explain Bitcoin?’. We need to fix that, as well as reach out to potential new users directly. As mentioned, I think we can fix the above with a platform dedicated to creating ‘open-source’ marketing material and funding marketing proposals. What is stopping us, as a community, funding adverts in Venezuala promoting Bitcoin as a way to escape inflation? Why don’t we have adverts on /r/investing showing the longer-term returns of HODL’ing? Why isn’t there a library of design work, video, etc. that is free to re-publish for non-profit purposes but which can be licensed by businesses for their own use (the funds reinvested in funding more work)? How are we targeting those remitting money to their home country? Why are we letting the mainstream media control the message to the public? The above may be idealist. It may not work as Bitcoin’s ‘greed’ killer app is very strong. Individuals and companies may think ‘why should I pay when others are not?’. If there are others who agree with me and are willing to help try to make something like this work, please get in touch on Reddit or Twitter … I’d be happy to try and make it happen! 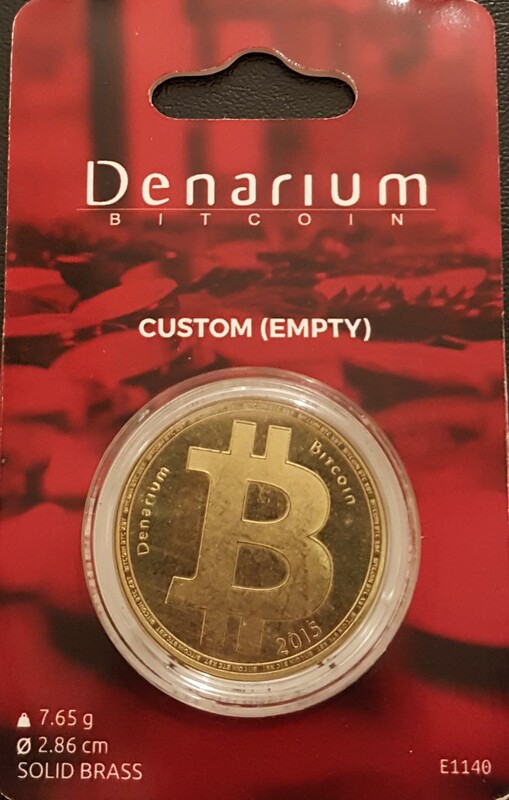 I had this Denarium physical bitcoin kicking around, so decided to do something a bit fun with it! I will send this coin (unopened) and all BTC it contains to the winner of a ‘reverse auction’ for it. A reverse auction is where the lowest unique bid wins. This one is a little unique in that the cost to bid is the bid itself. I.e. the more bids received, the higher the BTC balance you could win. So it is really a reverse auction sweepstake! The auction will end at 8pm, 4th November 2016 (CEST). Your bid must be in the mempool of blockchain.info before this time to be counted. We will wait for 3 confirmations before announcing the winner. Click for countdown timer – Auction ended! Full disclosure: I created the BFX Trust to help larger Bitfinex creditors convert to equity as I believe that adversity & misfortune often present golden investment opportunities. I do not work for, nor am I paid by Bitfinex. My actions are independent and based on my own judgement and desire to see the whole Bitcoin industry thrive. Disclaimer: What follows are my opinions only and should not be taken as investment advice! DYOR! Taking equity holdings in private businesses is very high risk and not suitable for all investor profiles. As they say on UK crowdfunding sites: CAPITAL AT RISK! Bitfinex are valuing themselves at $120million ‘pre-money’ despite currently having a net of ~$60million in liabilities they cannot pay immediately … so in reality it is a $180million valuation assuming balance sheet = 0. They want to raise a total of up to $80million in debt conversions and new capital in return for 40% of the company. Pre-hack Bitfinex was a cash-cow, generating $6million of net profits in the first seven months of 2016 … so an annualised run-rate of about $10.2million. Their figures also imply a growth rate of nearly 100% vs 2015 had the hack not occurred. Naturally, many will argue that Bitfinex is worth little/nothing while in debt and there is a risk of insolvency. However, so far, it seems the creditors are willing to be patient … so we must also consider the possibility that the market leader in BTC/USD (and it is still the market leader post-hack) may successfully convert/raise sufficient funds to make it back to a sustainable footing. In that scenario, what could Bitfinex be worth? If Bitfinex manage to hit their forecasts of $20million net profit in 2017, that would make a valuation of somewhere between $180-200million quite reasonable, especially given the rate of growth and future potential. To put the valuation in perspective, Coinbase was said to be valued at $400million in January 2015 and we can be fairly sure they are loss-making given they recently hiked their pricing! Margin lending is key to Bitfinex’s business. Not only does it permit traders to leverage their positions, it also earns the exchange 15% of all interest charged on the loans. USD lending is somewhere between one third and one quarter of where it typically was pre-hack. Currently ~$10.5million is lent to Bitfinex traders. It has been steadily growing since the website came back online with no sign of peaking so far. BTC lending is doing better, around 40-50% of the highs seen pre-hack and actually higher than the lowest level set in June this year. Currently more than 8000 BTC is borrowed. The balance stands at just under 60,000 BTC and currently slowly climbing. It is hard to get a realistic measure of how Bitfinex’s volumes have been affected since the hack and flight of some customers. We are in a low-volatility period which doesn’t allow Bitfinex’s competitive advantage of margin trading to show itself. Since the hack, Bitstamp’s 24hr volumes have typically ranged from 2000 to 4000 BTC. In the same period, Bitfinex has achieved 3000-9500 per day. Bitfinex’s range is far broader given volatility = more margin trades. Leverage allows traders to profit from smaller moves in the price, so trade more often during volatile times. If we look at mid-March to mid-April (another quiet period of trading), Bitstamp was ranging from 2000 to 5000 BTC per day. Bitfinex’s trading volume range was approximately 3000-23,000 BTC. It would therefore appear that while Bitfinex’s baseline volume appears roughly consistent vs pre-hack, its peak days may currently be ~50-60% lower given there is less leverage used on the exchange. I feel reasonably confident that we can estimate Bitfinex’s future volumes by watching the amount of leverage used. The current trends are positive with little sign of a ‘peak’ in USD lending being reached for the moment (the red line in the chart below). You can see Bitfinex’s margin lending data here and here. It is important to mention that Bitfinex has recently added ETH and ETC trading to its exchange, no doubt fueling some of its pre-hack growth. Bitfinex is therefore less reliant on BTCUSD volume than it used to be. Even the BFX token markets are helping! It is easy to get caught up in the negativity of the moment. Some of my best investments have been done when literally everyone was saying a company was doomed or I was the only person saving a business. If we believe that Bitfinex is supported by the majority of its creditors – because they naturally want full recovery – then that may become a self-fulfilling prophecy. If Bitfinex succeed in repaying all creditors who have not already sold their BFX tokens, it is not inconceivable that they emerge far stronger than before … a company and management who have gone through a trial by fire. It will also be partially owned by some of its biggest customers – unique in the marketplace. This is an obvious one, allowing traders to trade/hedge with a known cost (i.e. no variable interest rate on USD/BTC/other). OKCoin leads the market currently but they are a very opaque organisation. If Bitfinex are serious about being more transparent & less mysterious they could capture a significant amount of cryptocurrency derivative trading … especially if they made contracts deliverable and not cash settled. Hopefully Bitfinex will continue to add major new currency/asset pairs to its exchange (for example, Zcash is coming soon). Moving more quickly than the competition and having better liquidity in emerging markets will make Bitfinex the go-to exchange. Similarly, allowing other fiat currencies into the mix may capture more market share. An obvious one to serve funds, family offices and similar. Or perhaps a ‘dark pool’ such as Kraken. Or both! Bolt on services that may add more consistent volume and play to one of Bitfinex’s strengths – their orderbook depth. Sidechains between exchanges, creating a decentralised marketplace for non-fiat markets, more development of peer-to-peer lending … I think everyone familiar with Bitcoin realises that we are at the very beginning and growth potential is enormous! Bitfinex can leverage their customer base and trading volume to give new innovations immediate critical mass. This new token should appeal to the gamblers! The Bitcoin stolen from Bitfinex has not moved since it happened and there is an active criminal investigation ongoing. Should creditors convert quickly (i.e. before the end of September), they will gain so-called ‘Recovery Right Token’s representing the same face value amount as the BFX tokens they are converting to equity. Should the Bitcoin be recovered (e.g. the hacker gets caught), once all BFX tokens are redeemed then these Recovery Right Tokens will also be redeemed … essentially meaning you could get a free investment in Bitfinex if the hacker is caught and compliant. The chance of full or partial recovery is not zero, so this is an interesting sweetener to encourage conversion. It will be fascinating to see how the market prices the RRT’s! Some even think the RRT may give the hacker/s a way to profit from the stolen Bitcoin by giving it back! For various reasons, Bitfinex gets a lot of hate online. They’ve had several incidents, including prior hacks and technical issues (unexpected downtime, lag, etc.) which sends all the “armchair experts” into an explosion of typing fury. However, it would appear that the people posting all the negativity mean relatively little in terms of actual trading volume. The expression ‘its not the critic that counts’ appears to hold true. People with deep pockets are still trading on Bitfinex. I believe it isn’t until facing hard times that you can judge someone’s caliber. Lesser men and women would have simply crawled into a cave and called in a liquidator if faced with the same situation as the Bitfinex management recently experienced. The BFX token may be a grey area according to some who believe themselves to be legal experts, but it immediately gave all customers a way to achieve a better outcome than a liquidation. For every seller, there is a buyer, which means there are plenty of people out there who think Bitfinex has a future. 30million BFX per month being traded says it all (total BFX issued = ~71million). Getting back online, allowing everyone who wanted to withdraw everything, the BFX token and now the conversion … it is hard to argue Bitfinex management are doing a poor job. I believe they deserve a lot of respect for what they’ve already achieved and what they continue to try to do for creditors. If you like my analysis, please tip my son’s Bitcoin piggy bank he will get when he’s 18! EDIT: In the two days it took to write this blog piece, USD lending has increased ~$1.5 million to just under $12mil. BTC deposits now exceed 61,000.